Last week I was on vacation. To be honest, it was my first real vacation in over a year. 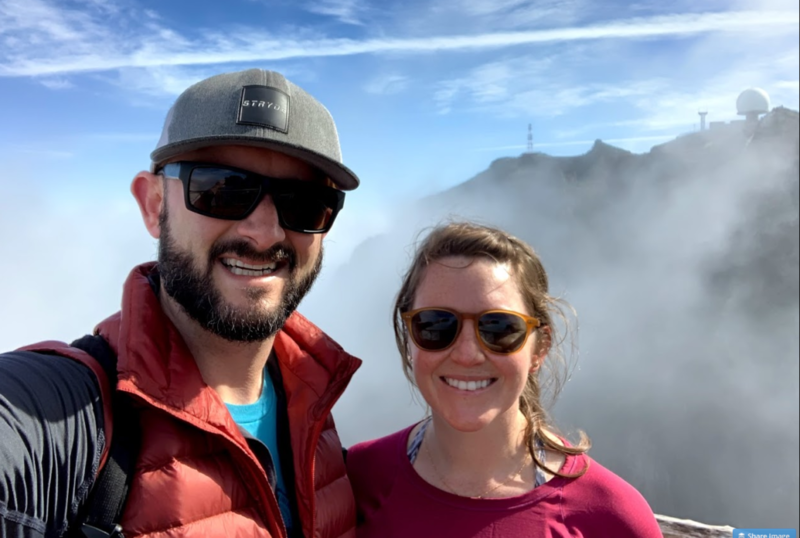 Sure, my wife and I have traveled quite a bit and we technically had a vacation last year in New Zealand, but I was in the middle of a crisis in my business and I came back maybe more tired than when we left (though, some of that was jetlag). So, vacation. 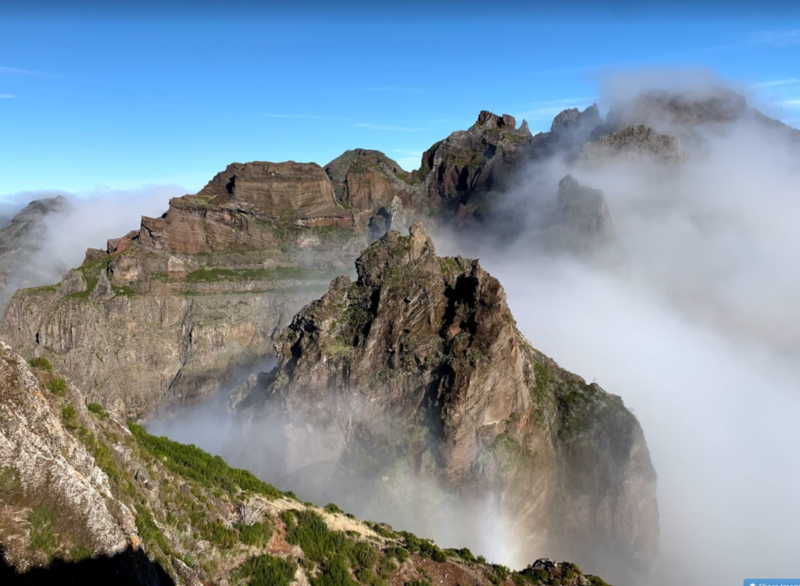 We went to Lisbon Portugal (where I got to meet Brian Dean of Backlinko fame) and then on to an island called Madeira. Basically, it’s this Portugal-owned but semi-autonomous magical island about 300 miles off the coast of Morocco. 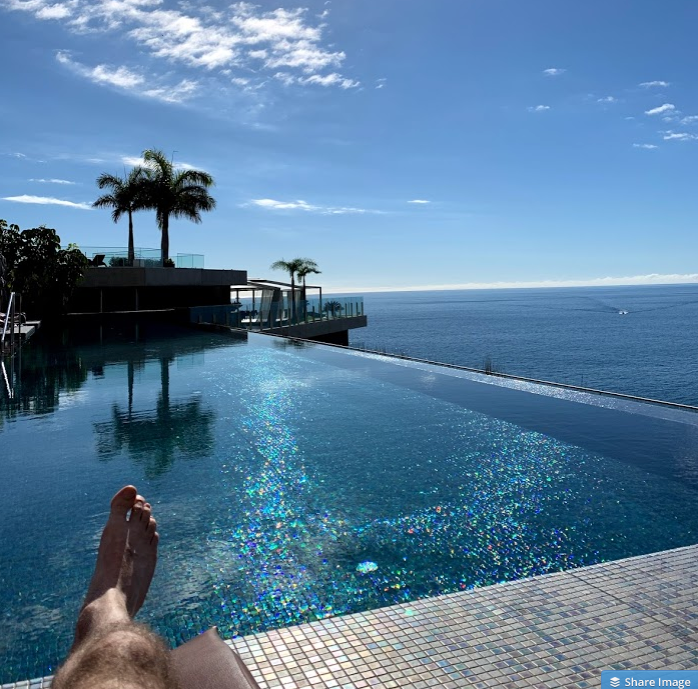 Madeira (pronounced muh-die-ruh) is tropical, so we drove by banana plantations and sat by the infinity pool in just our swim trunks/suits on January 24th. Incredible. I learned an important lesson on this trip. 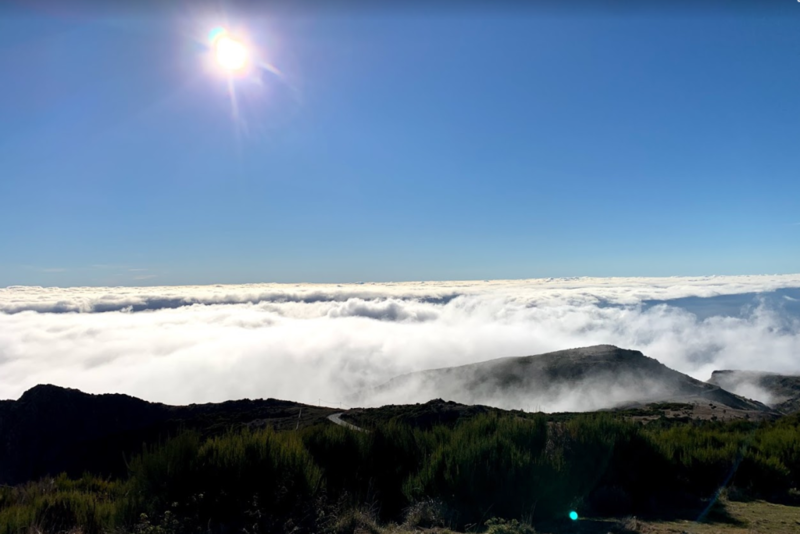 You see, one day we went hiking at the highest point on Madeira. We drove from our resort at sea level up through clouds and rain, and popped above them at 6,000 feet. 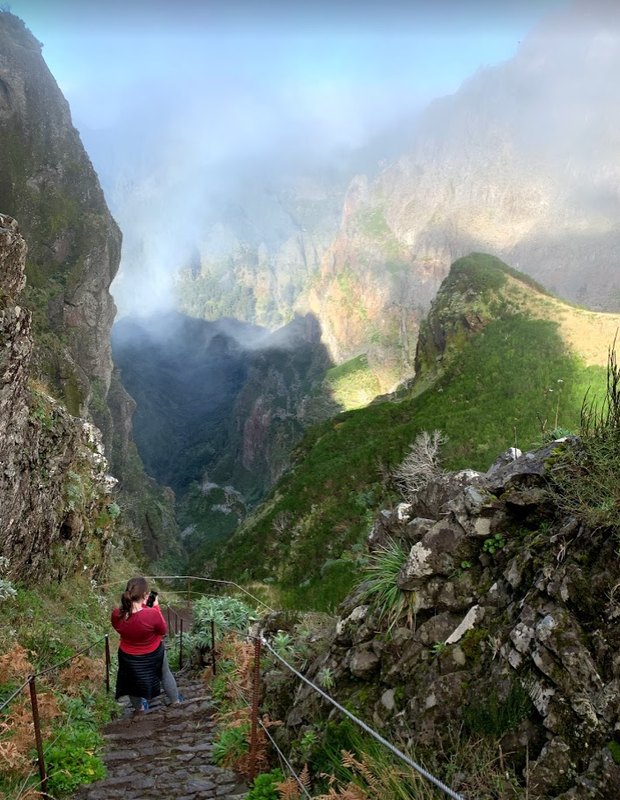 We went for a hike on a levada, which are ancient pathways and irrigation channels built to transport people and water to areas of the island that needed it. We hiked down about 1800 feet of stairs and through a tunnel, where we were back in the clouds where it was wet and a bit cold. We couldn’t see very far, but we could see that it went down. Seemingly very far down. We stood there deciding if we should continue. Normally my wife and I are very adventurous, but she’s seven months pregnant. We decided to continue just a bit further. As we finished up the hike (remember that 1,800 feet we went down? Yeah, we had to back up that), I was reflecting on that lesson. I realized that too often in business and in life, we hit a decision point that like and start making excuses. We’re groomed by our society to expect instant gratification. Amazon Prime. Same day delivery. Food delivery via an app on our phones. Instagram (Instant Gram!). But that doesn’t serve us well. In fact, it’s a liability to sticking with something, pushing past the hard, and actually reaping those rewards that come from not giving up. You can apply this lesson to all areas of your life. Started a business and your first two posts didn’t go viral? Keep at it. Success comes from doing the same things again and again and tweaking as you go. This is very close to insanity too, because insanity is doing the same things over and over again and expecting a different result. Be the insane one. The insane ones change the world. Hit a speed bump with your business model? Keep testing and tweaking and iterating. Every time I’ve tweaked business models at Credo we’ve 3-5x’d our revenue, and we’ve done that a few times now. Hit a tough spot in a relationship? Keep working through it. Tough times make the great times even better. Quick note: sometimes you do have to say that something isn’t working and you need to stop it completely. But those are rare and should only be done when everything else has been exhausted. You can also pause things for a time to rethink, or say it’s not the time to invest in something yet because you have other things to sort out first. I didn’t expect a hike on vacation to teach me so much about business. I hope my lesson is valuable to you today. Great read, John. Loved the pics, too! Thank you for sharing, and welcome home. Gorgeous pictures, and props to your wife hiking all that 7 mos pregnant! I’ve found the best perspectives come at times like these. Relating real life to work/business or relationships. The fine line between insanity and success- great point. Growth takes time—that’s totally true. I’m gonna repeat these words to myself whenever I’m impatient to see the results of my work. Thanks for sharing your beautiful and inspiring experience. And respect for your super daring wife. Delayed gratification and risk tolerance are two of the greatest predictors of success in entrepreneurship. In a society of instant gratification people that can play the long-game will win. I believe in this so much I’m considering getting a “dumb phone”.
. I’m gonna repeat these words to myself whenever I’m impatient to see the results of my work. Thanks for sharing your beautiful and inspiring experience. And respect for your super daring wife. In a society of instant gratification people that can play the long-game will win.